I know, I am behind the times. 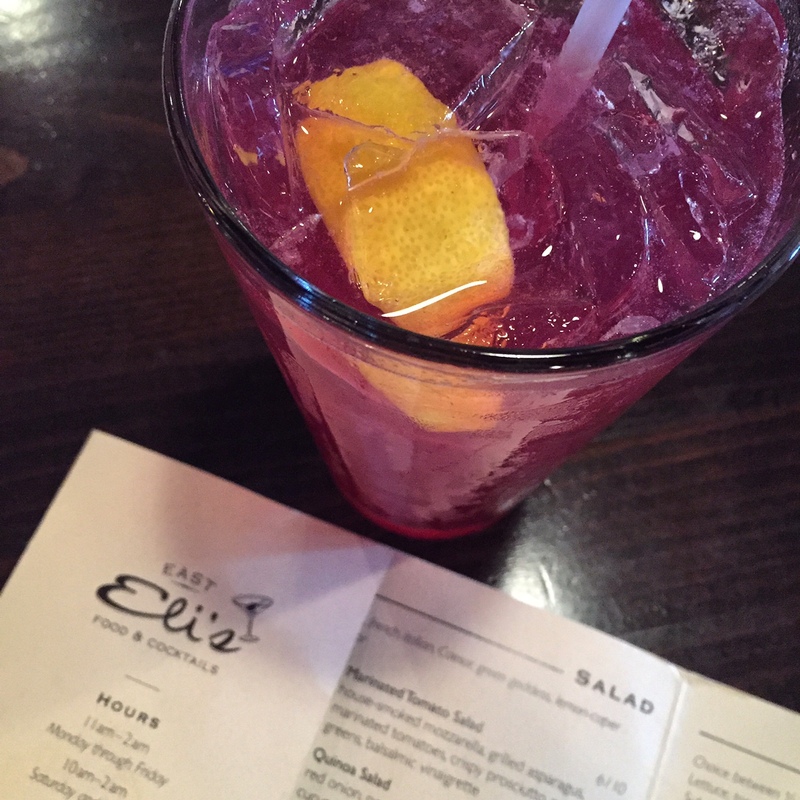 This was my first time at Eli’s East and I loved it! It has a great casual atmosphere but with a great menu of supper club classics and new local dishes. It made me wish that I lived in Northeast so this could be my neighborhood spot. I had a great cocktail to start the night with gin and a blueberry lemonade sort of thing. It was a great summer cocktail. I did see a bunch of people order a pink martini that I want to try next time. It must be very popular since they kept coming out of the bar. Don’t miss out on their wine specials as well. I thought they had a well curated wine list with many great options to go with their dishes. I had a really hard time picking what I wanted for dinner. 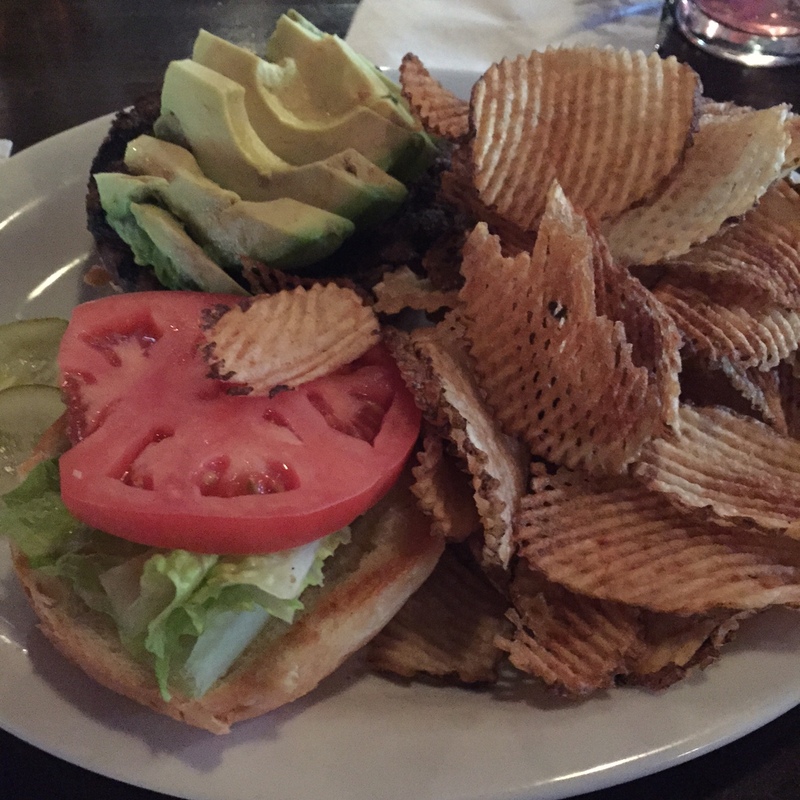 They had many items on their menu that appealed to me but ended up going with a burger. It was cooked perfectly to order and the fresh avocado on top was delightful. One of the highlights for me was their chips. No other place does homemade chips like they do. It was a nice change from the fries that you get everywhere else. 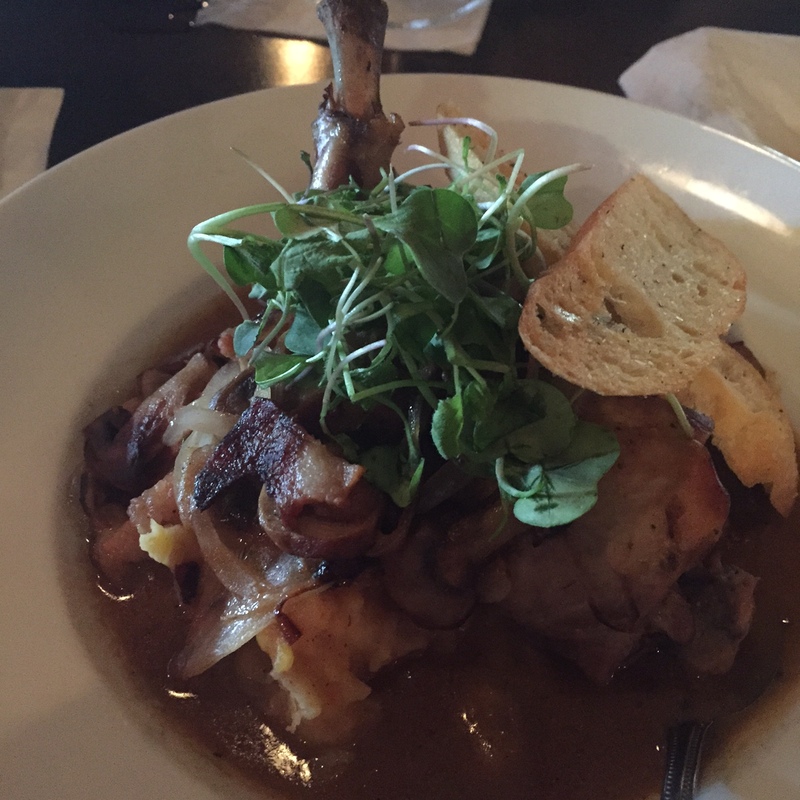 I also was able to try the Coq Au Vin. It had great flavor and looked beautiful when it came out of the kitchen. The chicken was a little dry for my taste but overall it was a great dish and something that I want to try again in the winter. It was very comforting. They have a great dessert menu that I didn’t get to try because I was way too full. Their portion sizes are a little bigger. They have an excellent outdoor patio and a parking lot which makes this a great place to go for smaller groups 8-12. Plus, a back area that many families with children were using. They give you a little bit more privacy which is great for those with young ones who still want a fantastic meal! Because I love a good neighborhood place. Where else do I need to try in Northeast? Any places I should move to in Northeast? Thanks for the great review! I’ll check it out now, too. You should! It was casual and they had great cocktails! 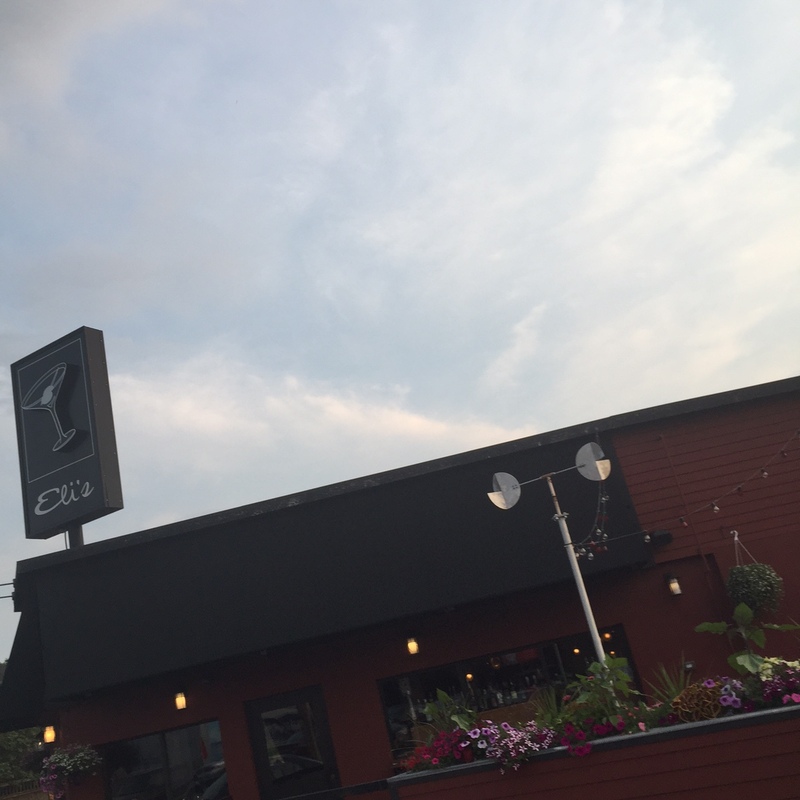 Maybe when it cools down a little you should check out their patio too. You should go! It’s a great little spot. I think you’ll end up there quite a bit after you try it.